Congratulations are in order for our talented Board Member Jaro Waldeck and the creative team behind the timely short film ‘Refuge’ as they pick up two awards at the Scottish Independent Film Festival. Whackala’s ‘Refuge’ won two awards: Best Director went to Leticia Agudo and Best Cinematography for their long time collaborator and WFT Board Member, Jaro Waldeck. 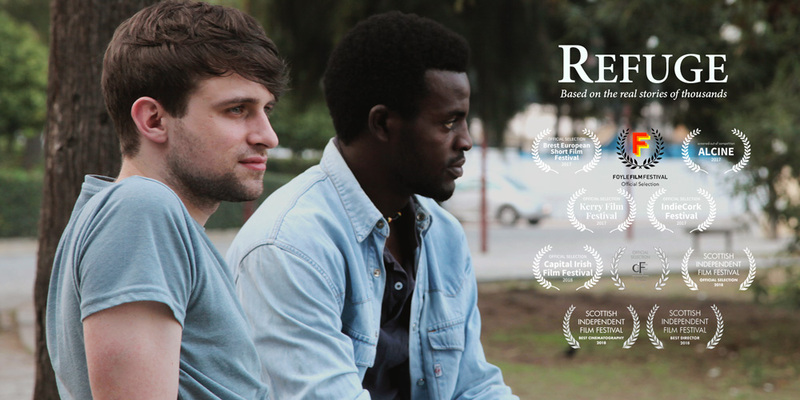 Shot on location in Spain and starring Irish actor Tommy Harris and former asylum seeker Cletus Fonony, ‘Refuge’ follows Ruairí, lost and alone in a foreign city, given help and shelter from an unlikely source. He struggles to understand the situation of his helper, Lawrence, who reflects the real stories of thousands who throw themselves to uncertainty in the Mediterranean. Two young men, worlds apart, are equals for one night. ‘Refuge’ has also screened at festivals around the world, including Foyle, Alcine, Chicago Irish and Brest.